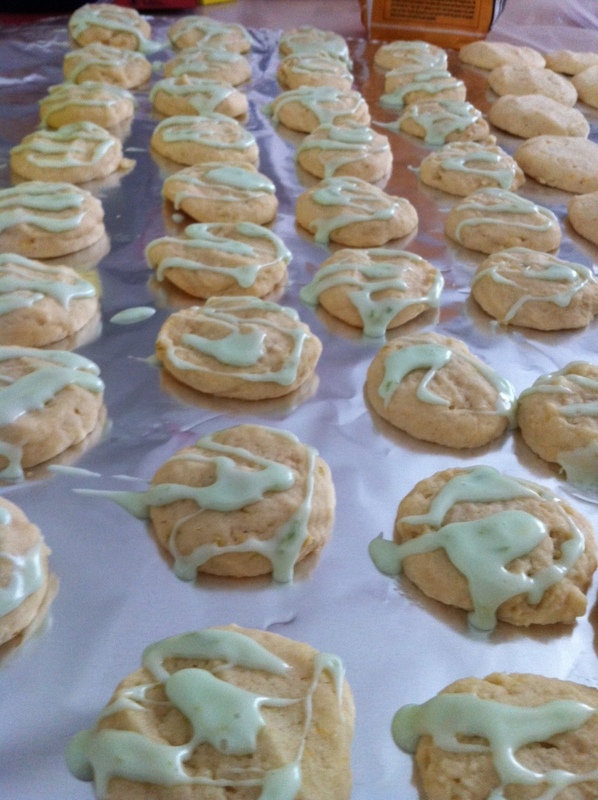 Requests for the lime cookie recipe from an earlier entry. Thoroughly stir together the flour, baking powder and soda, and salt; set aside. With electric mixer on low speed, beat together the butter, oil, and powdered sugar until blended. Add the egg, lime and lemon zest, lime juice, vanilla and lemon extract, and beat until light and smooth. Beat or stir in the flour mixture until evenly incorporated. Refrigerate the dough for 1 1/2 hours. Use baking sheets with parchment paper. Place about 1 1/2 inches apart. Bake cookies in upper-third of oven for about 12-16 minutes until lightly tinged with brown at the edges. Drizzle with lime glaze when cookies are cool.